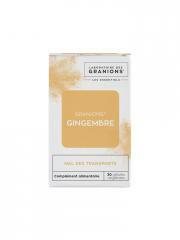 Granions Les Essentiels Ginger 30 Vegetable Capsules is a food supplement in form of capsules, based of Ginger. 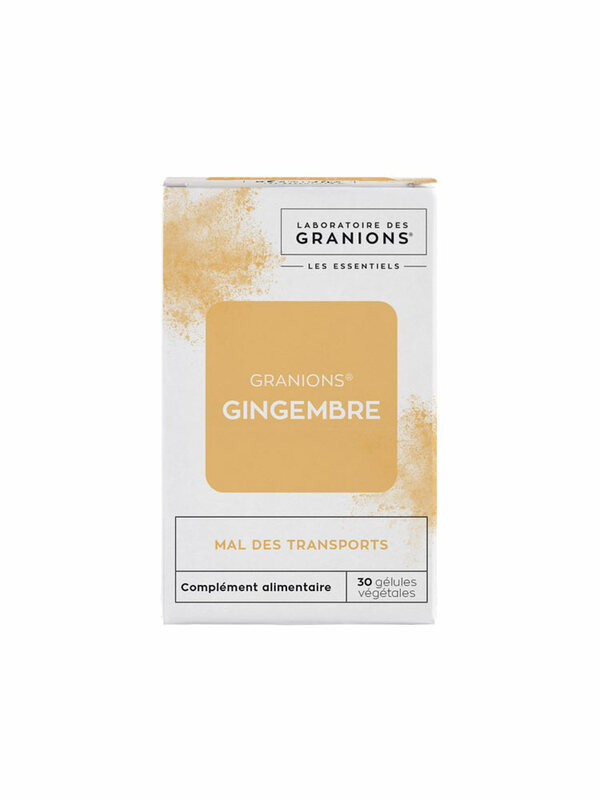 This food supplement is formulated based of Ginger and is ideal against motion sickness, it helps reduce nausea related to motion sickness. Take 2 to 3 capsules, 30 minutes or 1 hour before the departure. Renew if necessary after 4 hours, without exceed the 3 capsules par day. Program of 10 to 15 days. Food supplement. It is advisable to consume this supplement as part of a varied and balanced diet and a healthy lifestyle. Do not exceed the recommended dose. Keep out of the reach of young children. Not recommended for children under 6 years. Keep away from heat and moisture. Close well after opening. Best before the date indicated on the case.